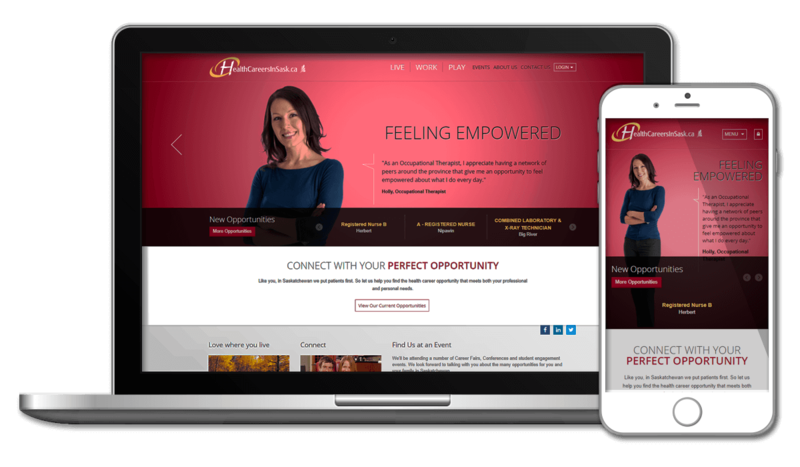 When the Physician Recruitment Agency of Saskatchewan was given the responsibility of the Health Careers in Saskatchewan portfolio, Engineered Code was able to modify their existing investment in Dynamics 365 and Adxstudio Portals to provide a second world-class recruitment website. After the success of their doctor recruitment solution using Dynamics 365 and Adxstudio, the Physician Recruitment Agency of Saskatchewan (PRAS) was also given the Health Careers in Saskatchewan (HCIS) portfolio, which involves the recruitment for any type of position in the health care sector across the province. The existing solution that was implemented for physician recruitment was considered the starting point. This included an authenticated experience for users where they could manage their profile, search for jobs, and apply for those they are interested in. Also, the desire was to use the existing Dynamics 365 organization, and not to create a new one. However, while many of the requirements were similar, there were certainly some differences between the two different solutions. In terms of volume, HCIS had many times more active postings and applications. The job posting information itself was different, as well as the information required from the applicant. The technical solve included both configuration and customization. By adding extra fields to entities such as Contact and Job Posting, including a Type option set for each, Engineered Code was able to keep the two areas separate in the Dynamics 365 interface. The same Adxstudio Portals code base was used, with a custom skin for HCIS and separate page templates being implemented when necessary. To accommodate the difference in volumes, a digest solution was developed for job posting notifications so as not to overwhelm users with emails. Custom integrations were also developed that allowed for both import of job postings, and export of applications. Overall, Engineered Code was able to use much of what already exists for the physician experience for HCIS. This means less code to maintain, and increased stability for both sites. PRAS is now able to manage both of their portfolios using one unified experience. "Nick and his team were professionals – catering to every design and functional requirement we needed. Their knowledge, problem-solving abilities and commitment to a high level of support make them second to none."